Looking for Spanish PDF Lessons? Here you will find a growing collection of free lessons on vocabulary words, grammar, adjectives, and more. Just click on the links to download the PDFs for free or right click & save as to save to your computer. 1) How to Learn Spanish: A Guide for Beginners ONLY. What is this? 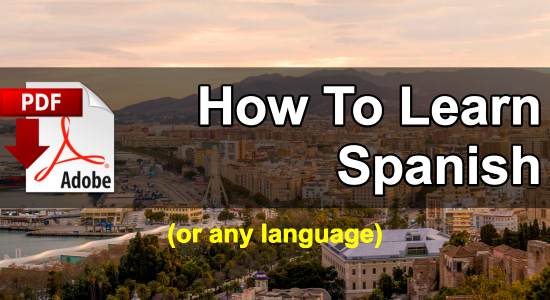 It’s a beginner’s guide on how to learn Spanish. You won’t learn the words and phrases here. But, you will learn “HOW TO LEARN” Spanish. The rules and ways to approach learning languages so you don’t fail. Read this before you get a Spanish textbook or a learning program. 2. 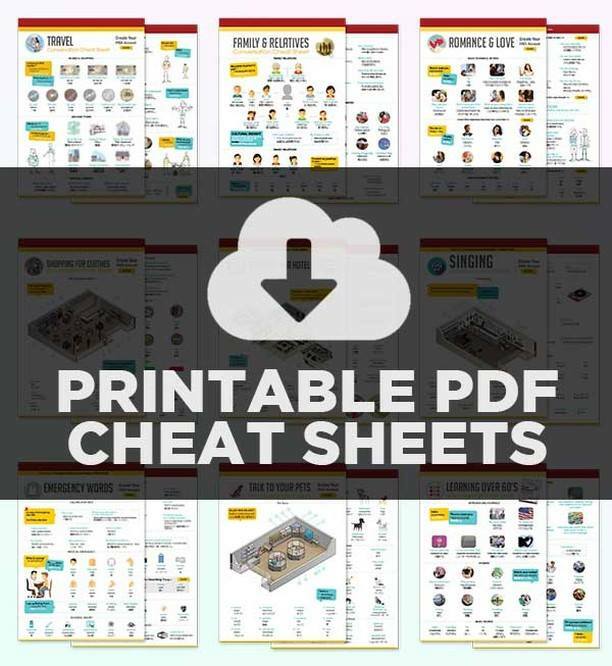 Spanish PDF Lesson Cheat Sheets. Here, you’re getting a big collection of Spanish PDF Lessons and cheat sheets. About 1 to 2 pages long. The topics cover all sorts of things – food, family, common phrases, love and much more. Check it out. 3. Common Spanish Phrases & Questions. Want to learn the most common conversational phrases and questions? Here, you get 59+. 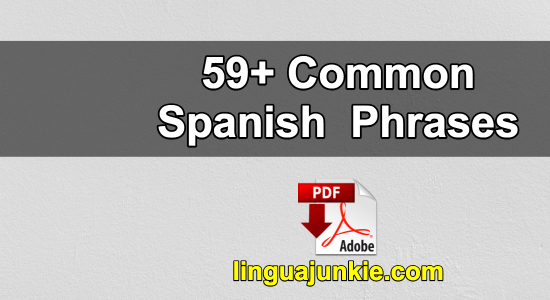 More than enough to get any beginner started with the Spanish language. 4. 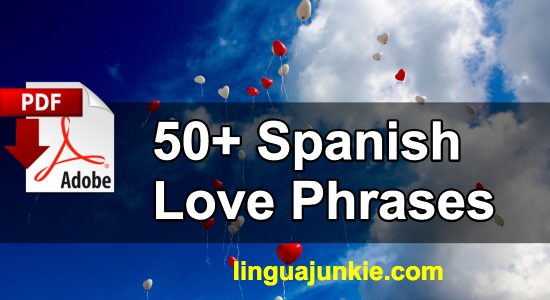 Spanish Love Phrases. These are great to know. If you want to use the language to flirt… or if you’re a genuinely passionate person, you’ll enjoy these phrases. I’ll be posting more Spanish PDF lessons soon! In the meantime, download and share these! The first one, “How to Learn Spanish,” is one of my most favorite Spanish PDF lessons. P.S. I highly recommend this for Spanish learners. If you REALLY want to learn to Spanish with effective lessons by real teachers – Sign up for free at SpanishPod101 (click here) and start learning!